Built originally by Brunacini Development for electronics retailer Circuit City, the 23,000 square foot industrial building located at 3911 Singer Blvd NE sold recently to a local investor group. Listed for $1,875,000, the building is located in the heart of the North I-25 Corridor, immediately to the north of the Century Rio 24 theater. The freestanding industrial building is situated on 2 acres of land and constructed of slump face block. In addition, the facility includes a mix of modern office, laboratory and high-bay warehouse space. The facility has been leased for almost 10 years by Optomec, a hi-tech leader in the field of Additive Manufacturing solutions, which are spearheading the next generation in Electronics, Energy, Life Science and Aerospace/Defense manufacturing. The Ransom-With team exclusively listed the office/warehouse/R&D property for a California-based ownership group. 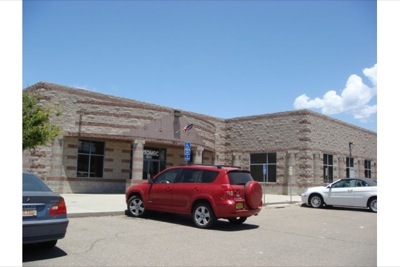 In addition, we had the priviledge of working on the transaction with other brokers within our office, Bill Robertson, Tim MacEachen and Tom Franchini, who represented the Albuquerque buyer.